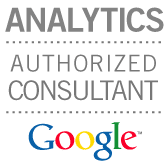 It’s been a while since we’ve updated you on the phenomenal growth of our Google Analytics Authorized Consultant (GAAC) network. Over the last year, we are delighted to have added the Czech Republic, Switzerland, Romania, South Africa, Brazil, Argentina, Poland, India and Russia to the countries serviced "in-house" (by local companies) via the GAAC network. Their local business experience and of course their ability to speak the language are hugely important to helping their customers successfully deploy Google's analytics-related products.